With 50 years combined professional and personal knowledge and thousands of ocean miles, we still spent two years searching on the internet (while working on shore) before viewing boats (in San Francisco) and purchasing our second boat, Pyewacket II. Join groups in FB, cruising web-pages and read blogs that are relevant to your situation – ask questions, keep asking questions. Read, read, read. Research, read, research and don’t stop! 2) Which material?/ What size. Already discussed in previous articles. See here. But, usually, the longer the boat the more cost involved, more antifoul, heavier/longer rigging., etc, but with care & knowledge it doesn’t have to be too much more. 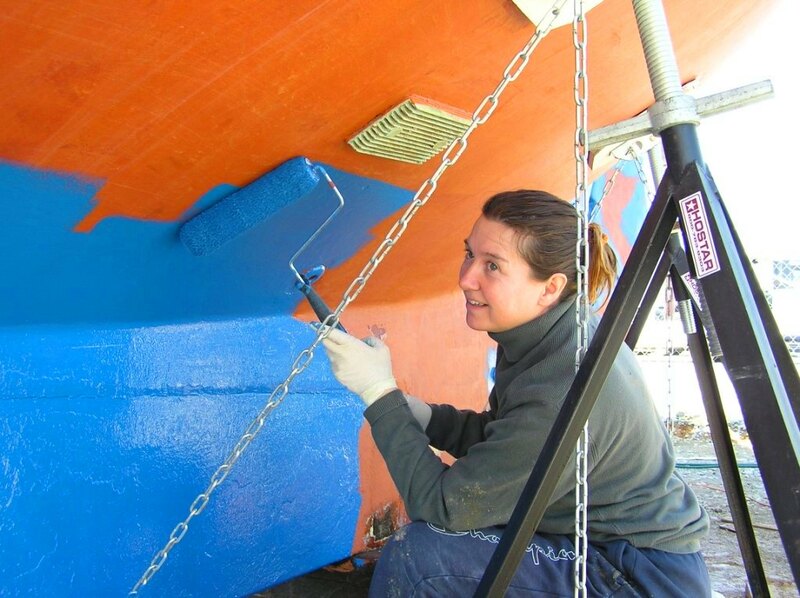 Owning and maintaining a boat that is already in a seaworthy condition is pretty much a full time job. If you want to go cruising sooner rather than later, you do not have time for a major fixer-upper. How much work do you want to do before you GO cruising? 3) Is it better to buy a boat from a broker or privately? You may not have a choice. We purchased both our boats privately and sold them privately too. In the past, we thought that brokers charged too much for their service. However, we sold our friends’ sailboat on their behalf and quickly found out that doing a good job of selling a boat is an incredible amount of work. If the boat you want is for sale via a broker, do some research on the broker – be prepared. But, try to form your own opinions on the broker and remember when you are buying, the broker will be looking out for the seller (who is employing him). If you are buying privately carry out relevant checks (see below). 4) If a boat seems cheap, ask yourself why? Is it just circumstance? Is it the market? Or is there a problem that needs addressing. Keep this in mind when viewing. If you are buying a boat, research and verification of all the detail is extremely important and if it is all new to you, ask a friend who has some knowledge to help. If you are buying privately, we recommend that you hire the services of professional document advisers/escrow agent. Can you have your deposit returned at survey stage if you are not happy for any reason? 6) How do you view a boat? We viewed many boats and we were always startled by so many differences. There is never a foolish question, Ask, ask, ask – research, research, research. Try the bed, enough room for you? Stand at the sink – are you comfortable? 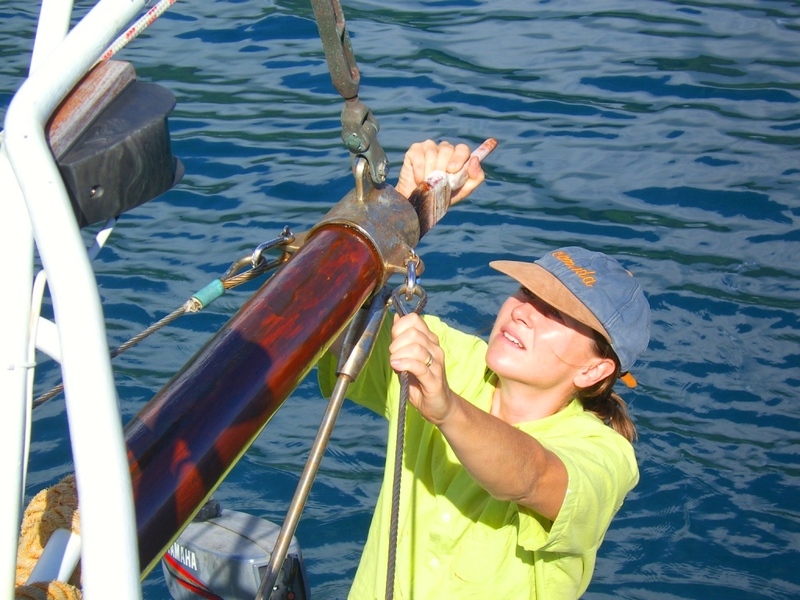 Find the reason why there is oil under the engine or water in the bilge. Do the heads flush properly? Sample the water on board, it is a good indication of the state of the tanks. Its condition, is it seaworthy? Be sure to ask if there’s any equipment that is presently on the boat that will be removed by the owner prior to the sale. For example, some owners will remove electronics like televisions, GPS systems, and even radios. Is there a maintenance log book available for the engine? At survey, you could have an engine oil analysis done (if available). 8) How many viewings? A test sail? The deposit made the potential purchaser responsible, not so gung-ho! If you are viewing several boats, take pictures of each. Start with the name and a full picture, then take pictures as you go through the vessel, otherwise they will all blend in to one. An organised notebook helps too. Jot down what you liked and disliked for later reference. Finalise the test sail detail prior to going… how long, how far, deposit? Try to restrain your emotions. While you should listen to your heart, you must follow up with your brain and acquired knowledge or your bank balance could get hurt and your safety may be compromised. Do thorough research. However, eventually your emotions will play a part. Be broadminded and prepared to look at something you hadn’t considered previously. We started looking for something in the mid 40ft range and ended up with a 51 footer. Don’t forget registration will have to be transferred, this can be a sizeable expense at times. We had all our boats surveyed. 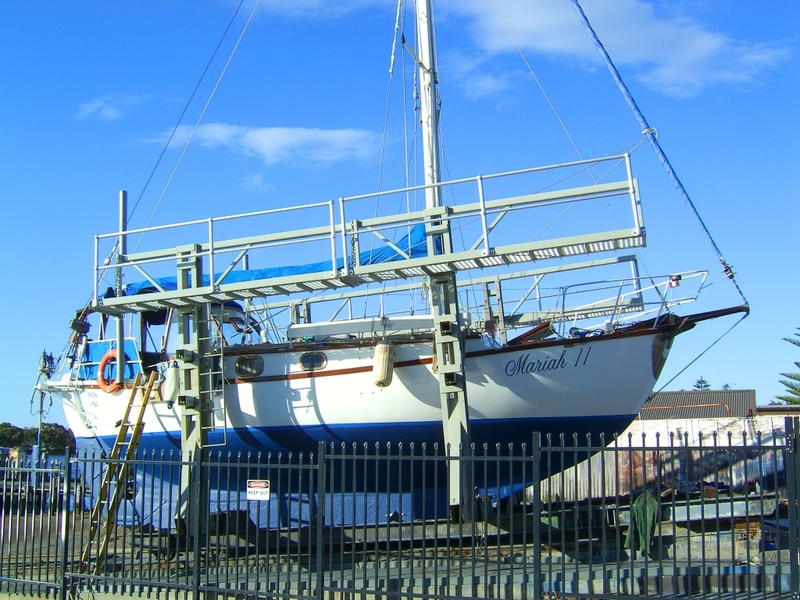 A surveyor will help verify the value of the boat and the potential expense involved in any restoration. AND highlight problems. If you are purchasing a boat in another country, research the import duty for taking it home and any tax implications in the country you purchased the boat. Brokers will pass on any offer, it is not up to them to turn it down, they are obliged to pass it on. Put a value (you know what it is with all your research, and start low. You can go up, but not down!) The process is similar to buying a house. Haul out and surveyor is usually at buyers cost. Check and double-check all paperwork, official numbers, licences etc. Make sure each engraved or painted-on registration number matches the paperwork. Don’t forget that boats can vary wildly – an acceptable 34 footer in one design may be too small in another design… good luck! If you haul out for survey (and all goes well), you may as well anti-foul while you are there. See our books Cruisers’ AA (accumulated acumen) for over 1,800 tips, tricks, ideas and advice on living on board. 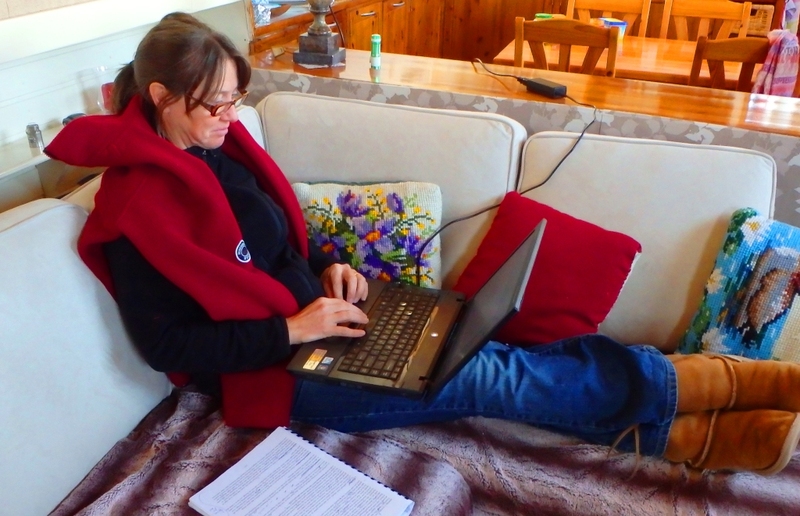 And –coming soon– Of Foreign Build…… From Corporate Girl to Sea Gypsy Woman…. following the links above. Categories: Cruising Clinic | Tags: advice, antifoul, buying a boat, Cruising, haul out, how to buy a boat, like boat, living on board, love boats, researching boats, sailing boats, survey boat, the right boat | Permalink. How do you go about getting a test sail? My husband and I have been wanting to get a boat for the summer and we want to try out a few different kinds. I would love to have a sail boat but he is all about the speed and water skis. It seems that testing both types out would help us decide what type we would like to get. Hi Aria, sorry it took so long for me to reply, we’ve been ‘on the road’ and out of touch. That is a great question and something I may well address on a blog. It is hard to test sail a boat that is for sale. Most people, including us, will not do a test sail without a deposit (some do refundable some do not) and really it is a way to avoid people just wanting a day out on the water. But for people such as yourselves, I would recommend joining groups (whether a website or FB) on the types of boats that interest you and chat to people there. More often than not they are owners of the said boats and will be delighted to share their views. This could also lead to an invite on board one of the boats. This happened to us. There was a brand of boat we knew about but we wanted to know more – we started chatting to owners of this type of boat and received a wonderful invite to go sailing on Sydney harbour for a few hours – the experience was wonderful and so very helpful. I will give this more thought too – and try to put a blog together on it. 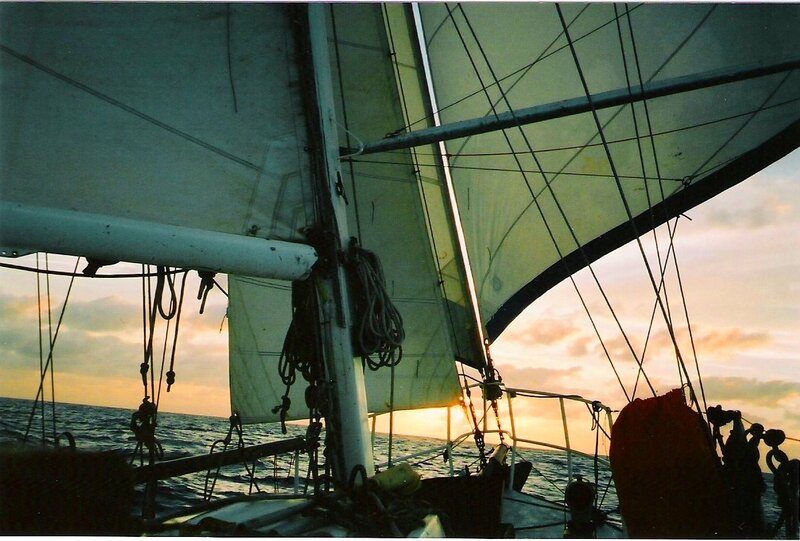 Are you a member of FB – there are a few great groups out there for some great advice – namely Women Who Sail, Women Who Sail Australia, New Zealand… you are quite free to join up and probably make some wonderful connections…. Perhaps crewing too would help. Many people need crew for a day or longer. Do let me know how you go – where are you based? What do you have your eye on? We are from Kilkenny a few hours north of Adelaide. My husband has his eyes on an Evolution 500 Caddy and he seems pretty set on it! I will have to check out those FB pages that you recommend and get advice from other boat owners. We don’t know anything about that boat – sorry can’t help. I tried googling the name/brand there are forums there, but I couldn’t access them, something about my location (Belgium). The key question is what you are going to want to do with the boat and does that boat meet those requirements! Best of luck, let us know how you go! These are great tips for buying a boat! Buying a boat has a lot of responsibility to it, so it’s always important to do your research before just buying! Thanks for sharing! Hi Ryan, thanks for your message. It is a huge responsibility and not to be taken lightly. I like your tip to ask yourself why a boat seems cheap. I think it would even be okay to ask the seller why he or she is selling it or to ask why the price is so low. If they try hiding an answer, you know that there’s something fishy about the boat. Hi, Leviticus – thanks for your comment. I agree, people may have a genuine reason why the boat is a low price. That’s a good point. Thank you for sharing this exhaustive list of tips for those interested in buying a boat. Making this kind of purchase is not simple. There is a lot to consider including the actual vessel, cost, maintenance issues, and even storage. For those who want to avoid these hassles I recommend renting a boat this summer. This way all you have to worry about is having fun on the water. However, for your readers that are looking to buy, they are sure to find your information valuable. Thanks again for sharing! HI Laura, thanks for your comments. I couldn’t agree more, hire a boat if you are looking short-term or just to try to see if you like it. Then you’ll know what you want on a boat or not… Hope you are having fair winds out there. My wife and I are thinking about getting a boat next year to take on the lake, but we aren’t sure where to start. I like that you suggest checking if everything works, like the engine. 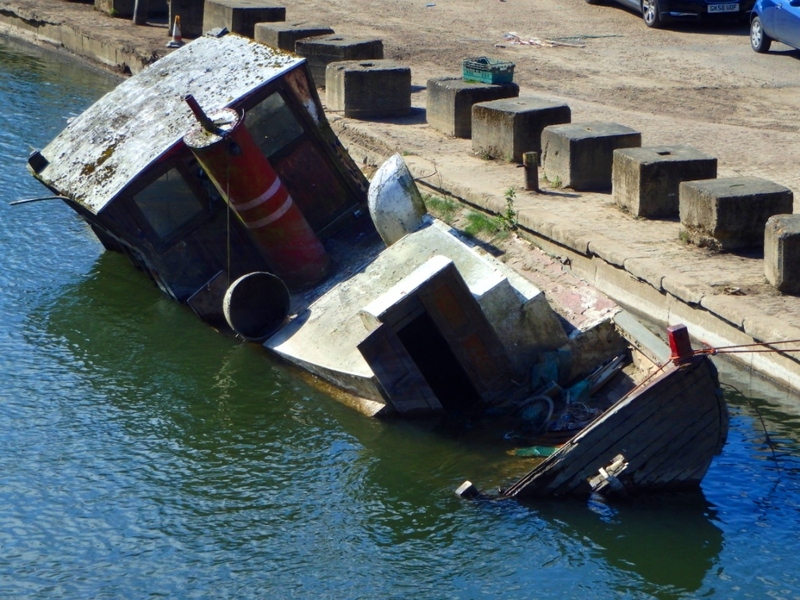 We’ll be sure to ask questions and poke around when looking at boats to make sure everything is in good condition. Hi Derek, good to hear you like our tips. Everything on board must be checked, everything that’s included in the boat, especially if it has been left sitting for a while. Best of luck with your search! I totally agree with tip # 1 about doing a lot of research when planning to buy a boat. It is recommended that you browse the internet and check reviews from other boat owners and see what they have to say about a particular boat model. You may also want to ask your friends and colleagues who may be boat owners themselves as they may be able to recommend one that suits your needs. If I were to buy my own boat, I would make sure to keep this in mind. Thanks. Hi Bobby, thanks for stopping by. Another place is sailing forums as well – although they need to be wisely selected. When we did our research for different boats, we asked someone, on a forum, about a particular model they had – they took us out for a sail on it!